Here for the very first time is a literal translation of the scriptures with the sacred name of Yahweh and Yahshua, restored and preserved. Did you know in every bible translation including the King James Bible that our Heavenly Father's personal name Yahweh has been taken out and replaced with titles and even names of pagan deities more than 10,000 times? This complete bible also has the New Testament based on the original Aramaic Peshitta text, the very language that our Savior spoke. The original New Testament was not written in Greek, but Aramaic. This is a literal translation and we believe to be the closest bible to the original language that was written thousands of years ago; The Old Testament is from the original Hebrew manuscripts and the NT from the original Aramaic. Math19: 23 And Yahshua said to His disciples, Truly I say to you that a rich man will with great difficulty enter into the kingdom of Heaven. There are literally 1,000's of examples such as above that are fully magnified in the Hebraic Roots Bible and will make the bible come alive as never before and easier to understand. Please write us for your copy today. 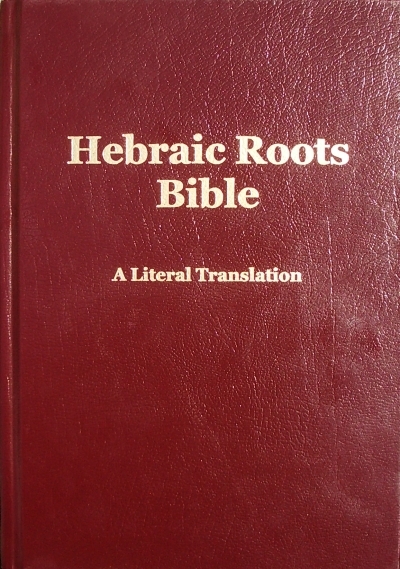 if you would like to receive a copy please leave the comment "Hebraic roots bible" and your address in the >Add special instructions to the seller< field, after you logged in. or download it FOR FREE !